Our company has initiated a new way to enhance business revenue with a completely new look of a box. The introduction of creative gable boxes that allow you to enjoy the benefits of both a bag and a box together in one packaging. The gable boxes exhibit the luxury style of carrying the perfect storage box that can hold food, lunch, accessories and so much more. 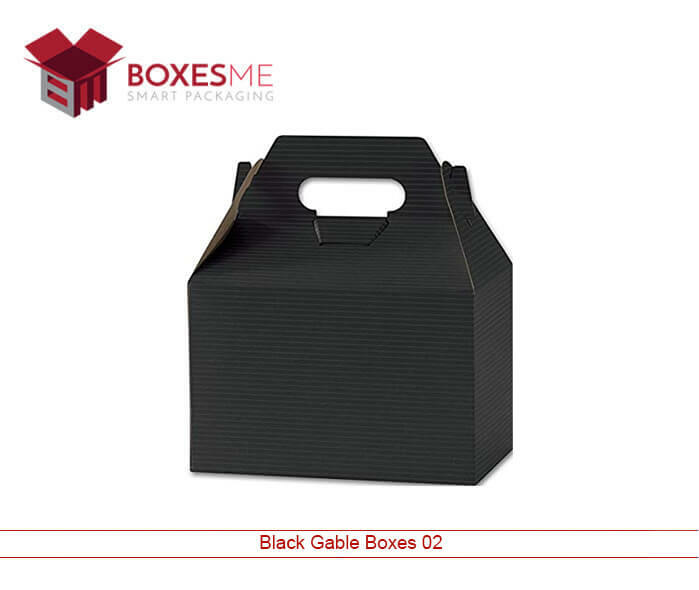 The gable boxes are manufactured in different colors and themes. The attractive printing on the box appeals the consumer. It is manufactured in all sizes to hold all kinds of food. Our designers have initiated production of custom-made gable boxes that consider the individual demands when designing the gable boxes. It has to incorporate every minor element the client demands. Our utmost priority is to present our client with the most desired gable boxes that ultimately help business shine brighter. The bulk production of gable boxes has given our company an edge to compete in the market. The increased production of gable boxes has allowed the manufacturers to keep the costs low and allow the customers to avail the finished products at an economical price. Therefore resulting in accelerated revenue and leaving the customers satisfied. Every individual desire to avail the best quality gable boxes at the most reasonable price. 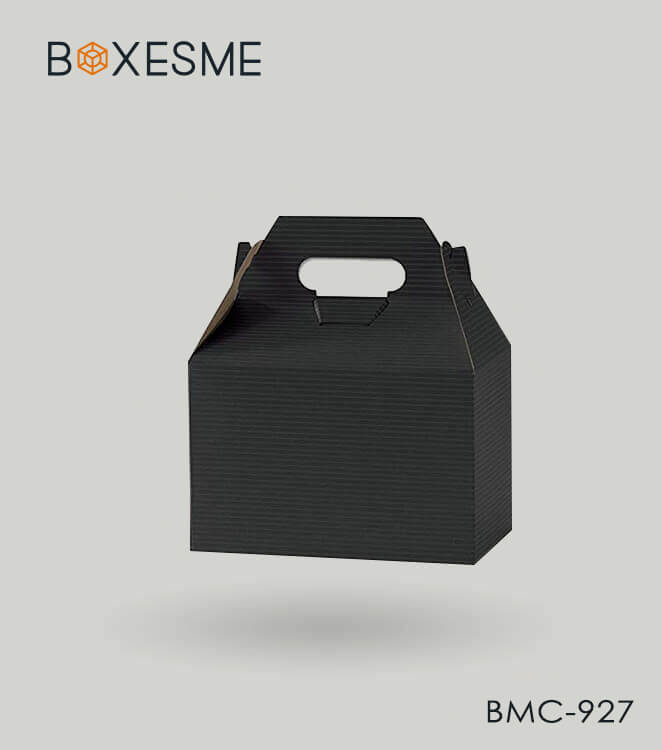 At BoxesMe we let our customers enjoy the benefits in regards the quality and cost. The Kraft gable boxes manufactured from 100 percent recycled cardboard has sustained a high place in the market due to being eco-friendly. It is a paper container that is easy to carry due to the handling properties of the Kraft gable box. The handled top also comprises of special security locks to ensure the safety of the items contained inside the gable box. The Kraft gable boxes are designed in a variety of range and the manufacturing industry allows the flexibility to incorporate individual client demands during the production of unique gable boxes. The color, size, and shape can be altered as entailed by the customer. We encourage our clients to select the unique designer gable boxes that are not available in the market. The size of the gable box is not restricted to any specific dimensions. Depending on the storage item, the gable box is manufactured. The extra-large gable boxes are also produced here that are portable in use and ensure safety of the item stored inside. The gable box is the outlook to the product being sold. It is the box that defines the inside item and help the customer decide whether to go ahead with the purchase or not. The gable boxes are available in a variety of colors and prints. 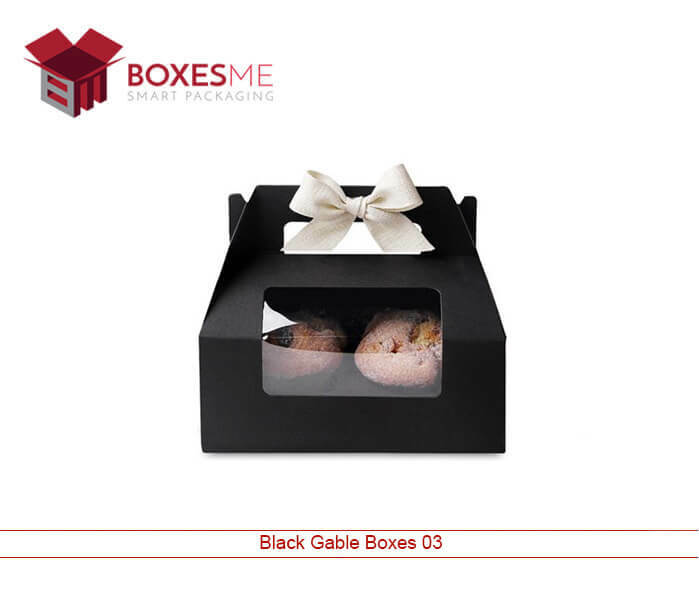 The personalized gable boxes can be produced at the customer desired range. We provide the best gable boxes at your desired rate and comfort. Every client returns satisfied with the services and products we deliver. We look forward to materialize the designs you imagine.